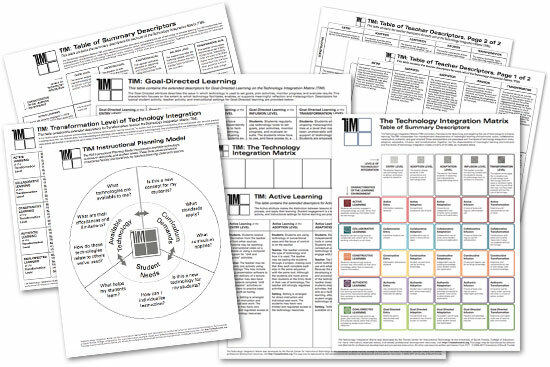 All the parts and pieces you need to implement TIM in your school or district. 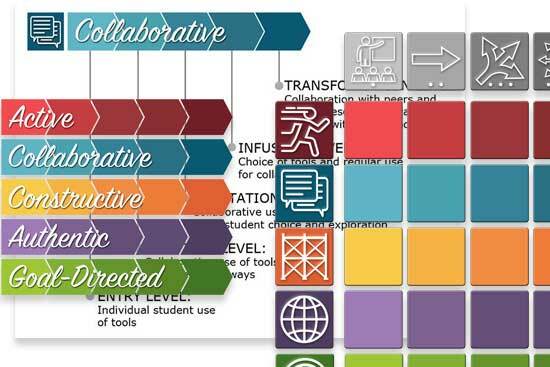 Teachers, schools, and districts may use any of the graphics here on their websites. 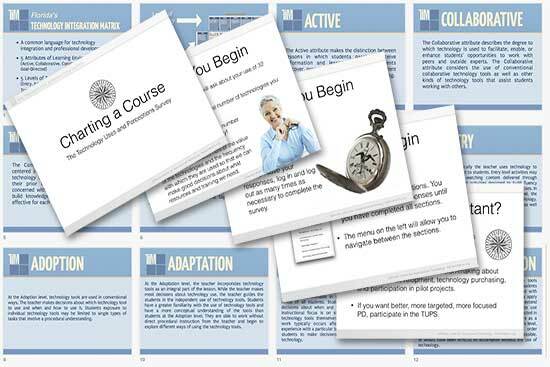 Trainers and coaches may use the collection of presentations. 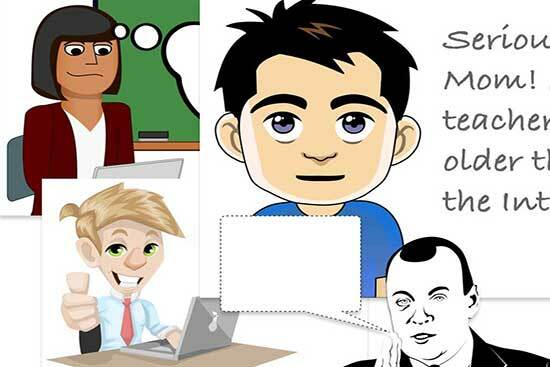 School or district staff may use the graphics, cartoons, and other presentation resources to create their own training materials and presentations. Save time with our TIM preso collection. These ready-to-use presentations support effective technology integration in your school or district. 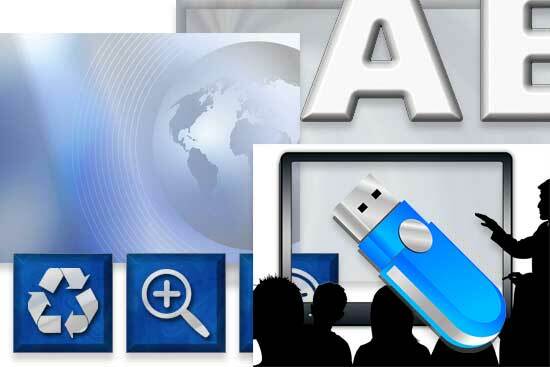 Formats include Powerpoint, Keynote, and video. Some of the presentations include presenter notes and participant handouts. Making your own presentation from scratch? Change things up a bit with a new Powerpoint template or Keynote theme. We also have individual slide backgrounds, buttons, icons, alphabets, and images to make your tech presentation come alive. Drop into your site or presentation. We’ve created graphics of the Technology Integration Matrix in sizes, shapes, and colors to meet every need. There are also indicator and level breakout graphics and slides for each of the 25 individual cells. Instant content for training sessions. Whether delivered electronically or as print material, these PDFs cover many of the major concepts of the Technology Integration Matrix. Use them with companion slides from the TIM Graphics section. Sometimes a cartoon is just the thing to make a point, correct a misconception, break the ice, or just provide a change of pace in your presentation. Many are without captions so you can customize for your particular need.